Minority report: What happens if no B.C. party forms a majority election night? It's been 17 elections and 64 years since the province had a minority situation, but there’s a chance the streak could end on May 9. 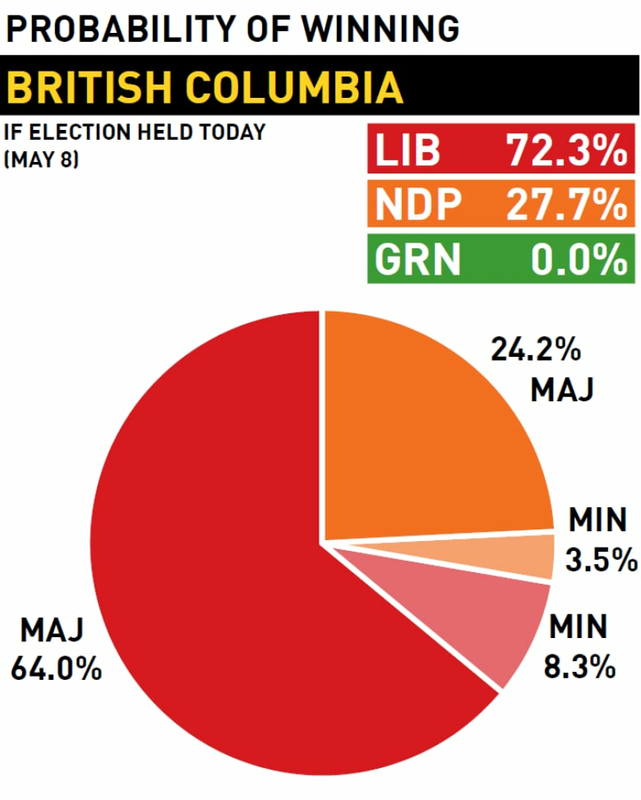 British Columbia hasn't had a minority government since 1953. That's 17 elections and 64 years. But there's a chance the streak could end on May 9. It's a possibility because the Green Party seems to be performing well enough on Vancouver Island to increase its seat total, yet overall support between the B.C. Liberals and NDP remains relatively even. CBC poll analyst Éric Grenier estimates there's a 22.5 per cent chance of a minority government scenario, where no party gets at least 44 of the legislature's 87 seats. If that's how election night ends, what would happen in the days after? There are two standard governing arrangements when no party can command a majority in the legislature. The first, which Canadians saw with the federal government from 2004 to 2011, involves one party fully in control of cabinet and the executive branch of government, but regularly negotiating with other parties in order to get enough votes to pass legislation. The second approach is a coalition government where a formal agreement is made between multiple parties, usually involving the sharing of cabinet posts, along with guarantees on certain pieces of legislation and how decisions will be made. The last coalition government in B.C., between the Liberals and Conservatives, lasted from 1941 to 1951. Is the B.C. Green Party surge different this time? "People would quickly adapt with what's going on with a minority government," said said recent UBC political science PhD graduate David Moscrop. "I think they'd be much more slow to understand and approve of a coalition, even though it's perfectly legitimate, democratic and a pretty common practice in the democratic world." "In Canada, we don't have all that much experience with coalition governments … I think people would get worked up real fast." Much would depend on who the Green Party would pledge to support, and under what conditions it would be offered. But the party is being cagey as to how they would proceed in such a scenario. 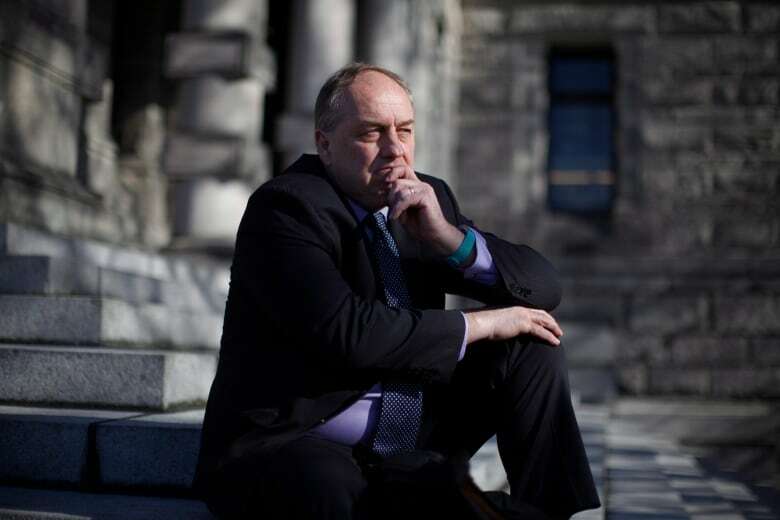 "We're open to everything," said Andrew Weaver in a Facebook Live interview with CBC a week before the election. "We're open to coalitions, we're open to minorities. We're ready to work with anyone and everyone." "It's irresponsible in an election to rule anything out." Weaver did say there was one specific thing any party looking for the Green's support would have to agree to: the abolition of corporate and union donations. "Without any question. That's a deal breaker. We've got to get this money out of politics." But beyond that, party officials say they would talk to both the Liberals and NDP to see how much of the Green platform they would agree to adopt before negotiating a coalition agreement, or offering their general support in a minority government. 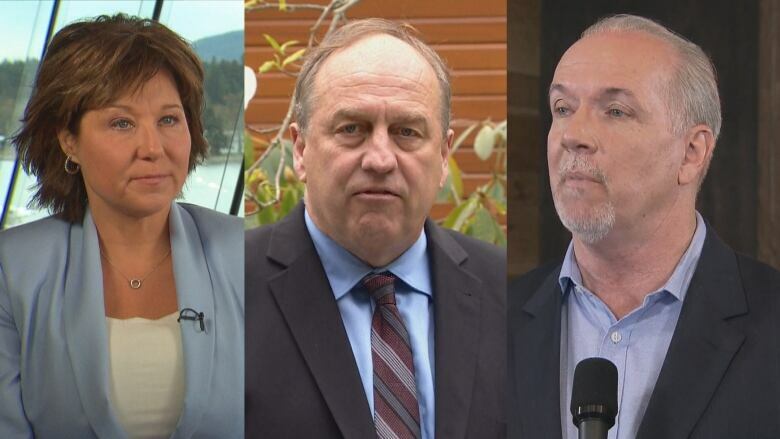 While the Greens have more ideological overlap with the NDP than the Liberals — including on union and corporate donations, which the NDP has promised to abolish — Christy Clark could continue to be premier in a minority government. "In the case where the Liberals have the most seats, but the NDP and Greens can come to an agreement and show they've got the confidence of the house, they can govern," said Moscrop. But he notes that in Canada, the lieutenant-governor is obliged to give the incumbent premier a chance to prove they still have confidence of the legislature after an election. "The government remains the government until the premier resigns … If she's a few seats ahead or behind the NDP, but doesn't have a majority, she could try and make a bargain with the Greens first to try and continue her government." It's an unthinkable scenario to some — and a moot discussion if any party gets 44 seats or more come election day — but minority governments tend to invite historic scenarios. "We have a real opportunity for a civics lesson here," said Moscrop, "And I hope people will glom onto it, so we can have a moment to understand how our system works." An earlier version of this story stated that Canada had a federal Conservative government from 2004 to 2011.